This month, we bring you the fabulous Oui Shave. 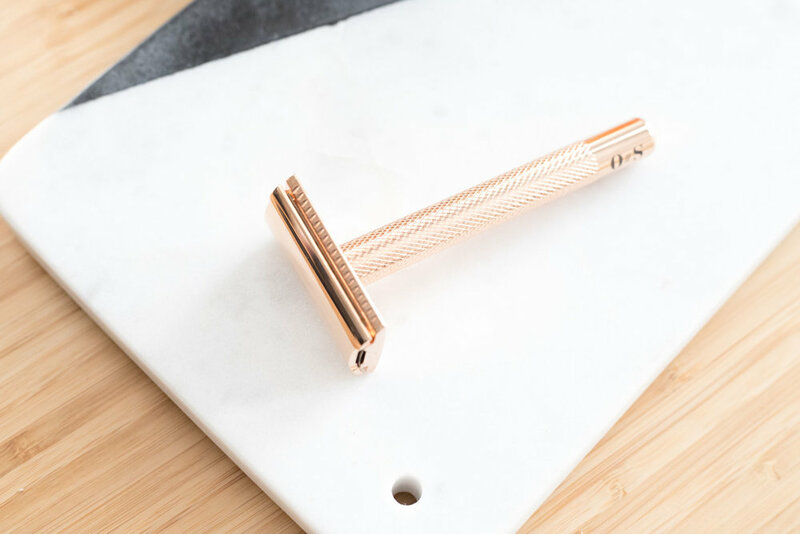 You will never look at shaving the same way after using this GORGEOUS rose gold safety razor. We've been using this razor at Palm HQ for the past month, and could not be MORE obsessed with this gorgeous beauty tool. Basically, we look forward to shaving now, #newhobby. This razor already has 105 5-star reviews! 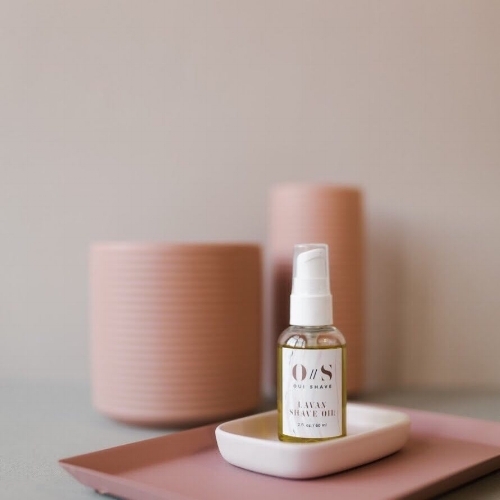 This campaign is an intro to Oui Shave #ouimade- we'd love you to know that we have designed a shaving system for your best skin- one that is gentle, non-toxic and sustainable. Made for women, by women. Oui Shave is inspired by the look and feel of Herbivore Botanicals and Gel Cream.